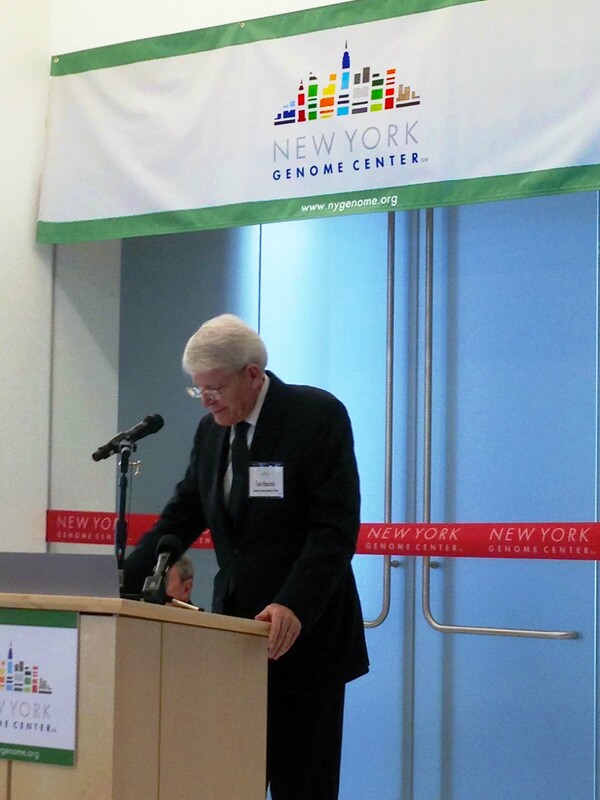 Robert Darnell, the NYGC's president and director, strolls into the center's new permanent office on 101 6th Ave. in lower Manhattan. About 300 attendees filed into the NYGC's lobby and cafe, many lining the walls around the sides of the room. 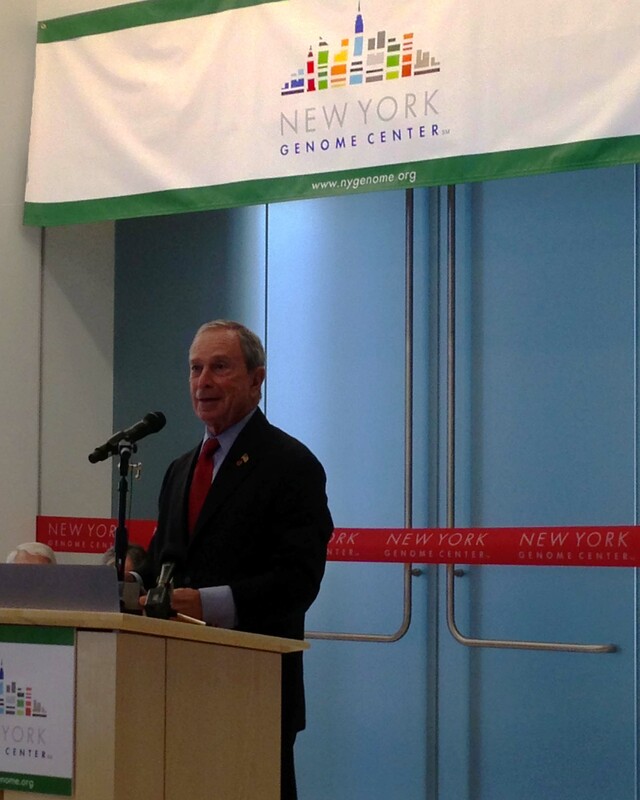 New York City Mayor Michael Bloomberg discusses the importance of the NYGC, and the efforts of his administration to prop up the local life sciences ecosystem: "Bob [Darnell] and Tom [Maniatis], let me just say what I always say to all my new employees---don't screw it up." 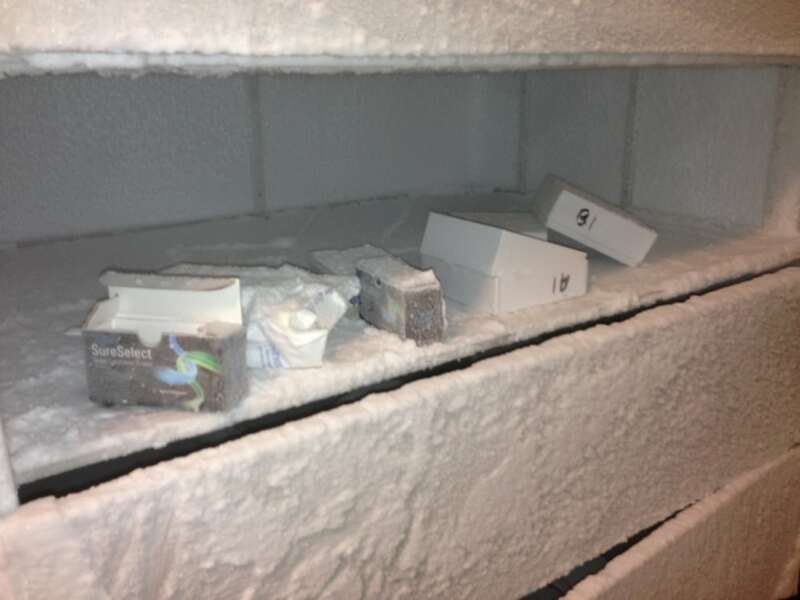 A room of freezers store RNA samples at -80 degrees Celsius. 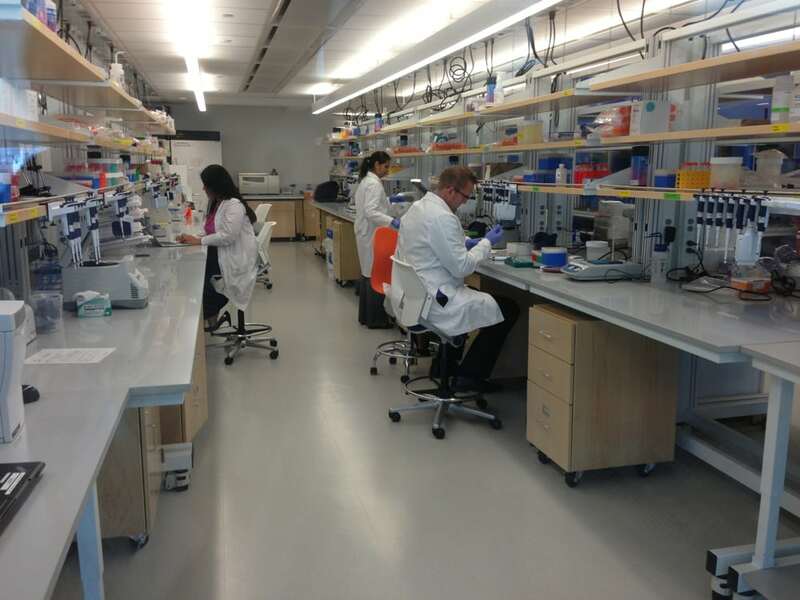 A group of NYGC geneticists prepare samples for sequencing. 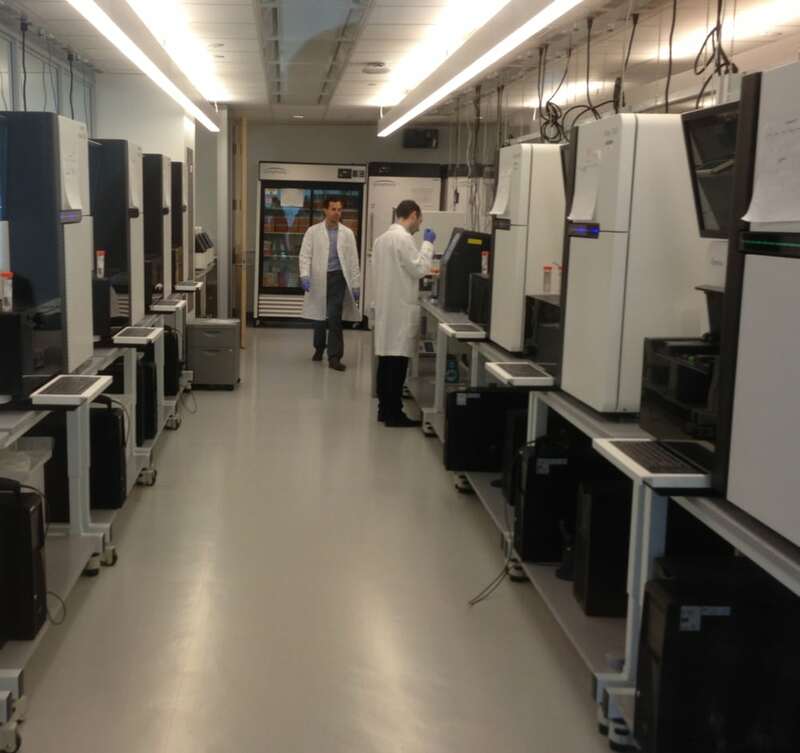 Rows of Illumina's HiSeq-2500 DNA sequencers line one of the floors of the NYGC. The center has 16 so far, with the capacity for 80 (at the machines' current size). A sprawling whiteboard lines one of the walls on the NYGC's bioinformatics floor. 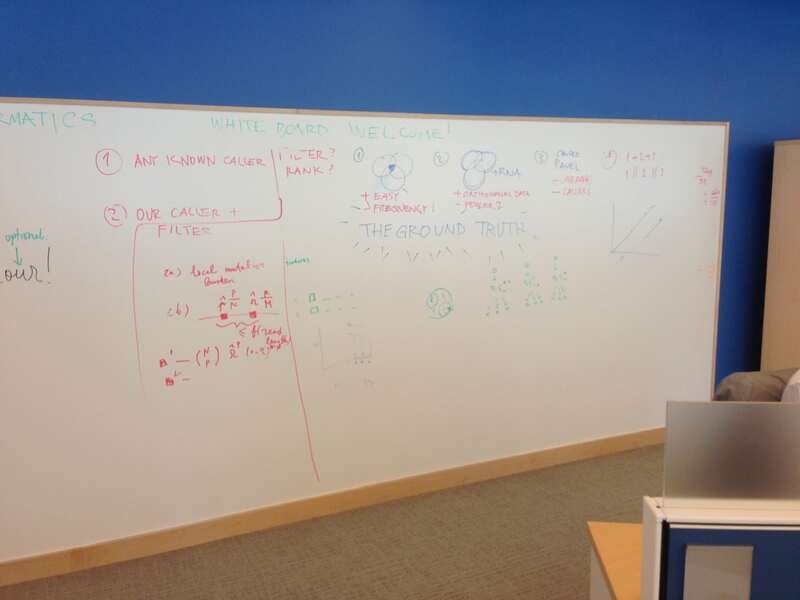 It's one of several whiteboards seen throughout the facility. The NYGC stressed that much of its layout is spatially flexible. A lot of its furniture is on wheels to be able to tailor a specific space to a specific project. 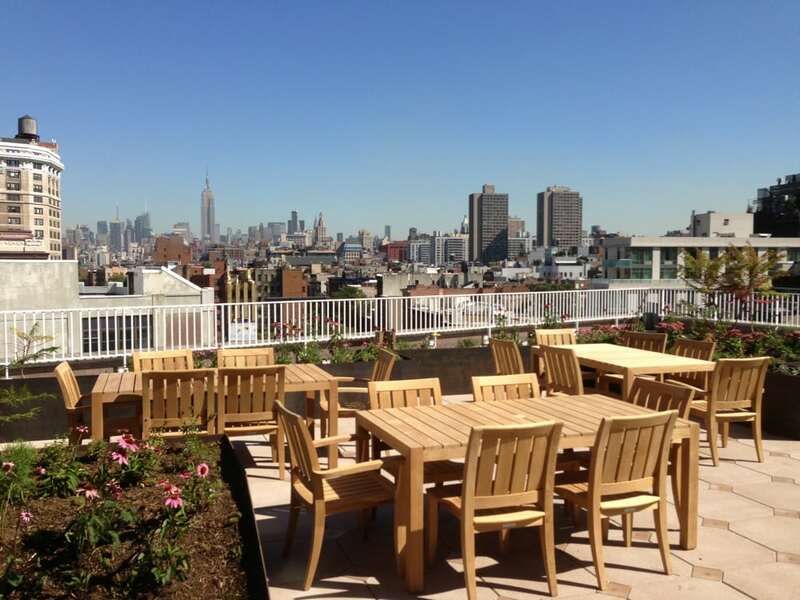 A terrace jutting out from one of the NYGC's floors overlooks much of the Manhattan skyline. Coincidentally, according to NYGC officials, the view---with the Empire State Building in the middle---reflects the NYGC logo. 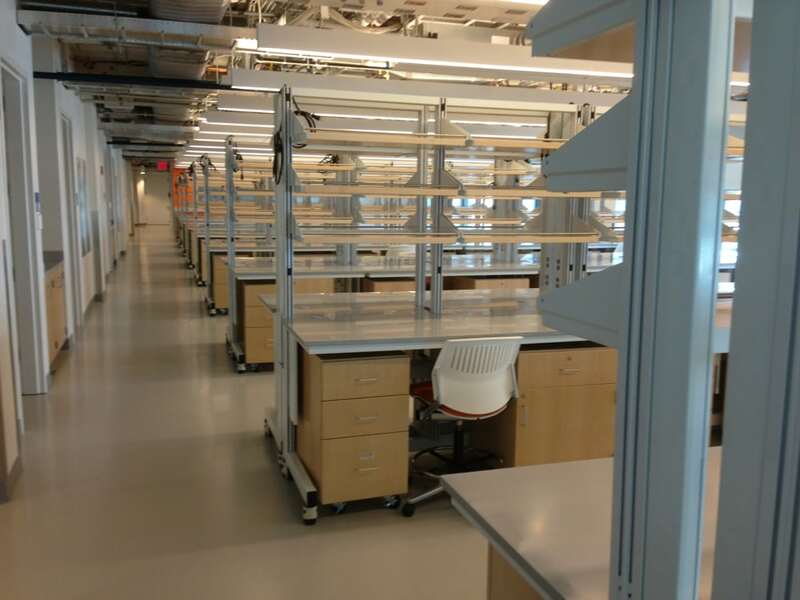 New York life science professionals have long pounded the tables in disgust at the Big Apple’s inability to capitalize on its institutional research: too often, the scientific ideas generated in Manhattan research labs and medical centers get shipped off to other, more established biotech hubs like Boston, San Francisco, and San Diego. 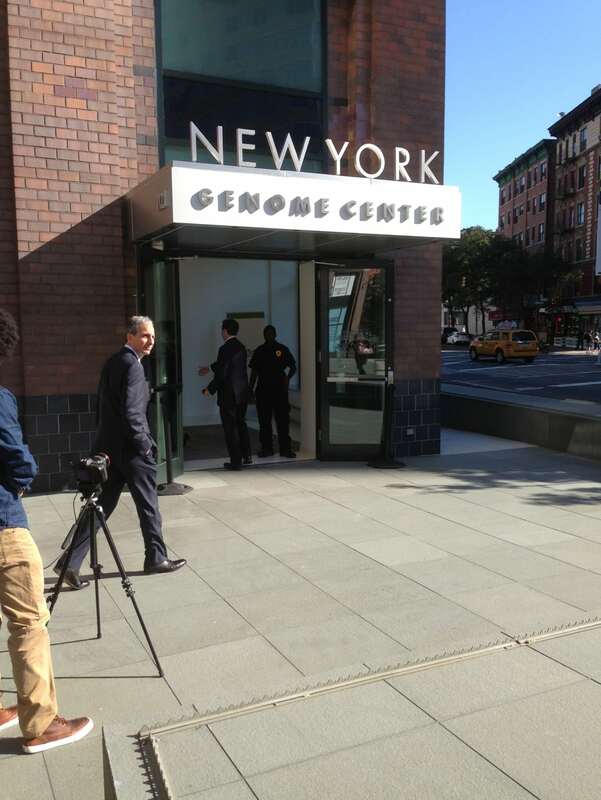 As I wrote last week, the New York Genome Center is the city’s latest step in trying to change this trend. 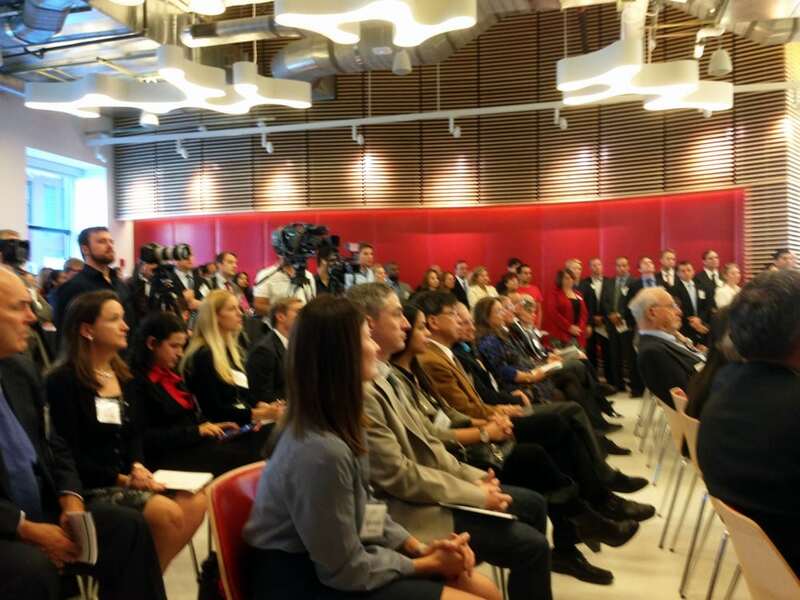 The NYGC is a collaborative effort between 12 of the metropolitan area’s biggest research centers to work together, share research, and make sense of the flood of genomic data the explosion of new technology in the field has made it possible to study. 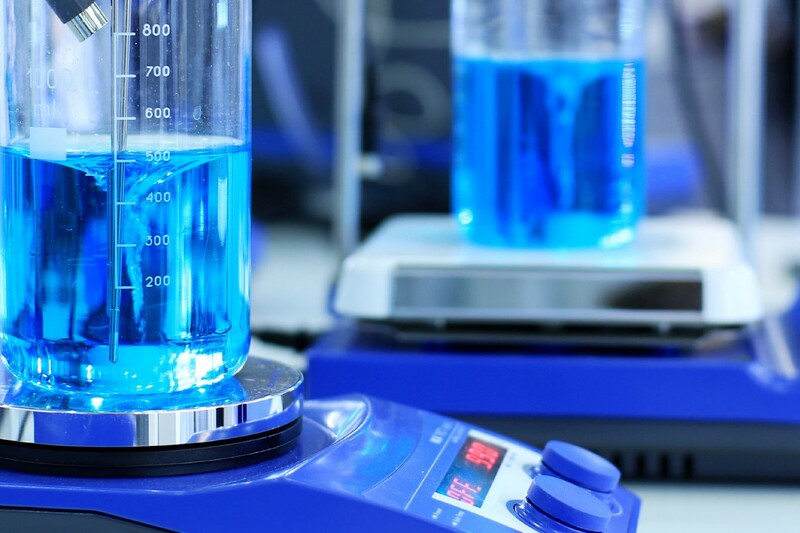 But while other genome centers already sequence genomic data, the NYGC has loftier goals: it aims to also perform clinical studies on its grounds, and generate translational research that ultimately leads to new innovations. I attended the ribbon-cutting ceremony in person on Thursday, and got a tour of the 170,000 square foot facility. Above you’ll find some of the things I found along the way.